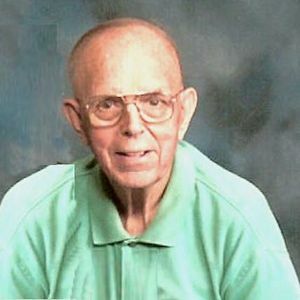 THOMAS G. LOVELL age 78. Passed October 27, 2017 in Ft, Myers, Florida and formerly of Parma, Ohio. Beloved husband of Carole (nee Oliverio) for 45 years. Cherished son of the late Frank and Marie. Dear brother of Frank and Ernest (Deborah Miller-Lovell). Uncle and friend of many. U.S. Navy Veteran and member of American Legion Post 703. Retired from Ameritech. In lieu of flowers please donate in Tom's memory to Cancer Research Institute 29 Broadway, 4th Floor, New York, NY 10006 or the Humane Society. Funeral services at the Parma South Presbyterian Church, 6155 Pearl Road, Parma Heights, OH 44130 on Saturday November 4, 2017 at 11:00 AM and at the Cypress Lake Presbyterian Church, 8260 Cypress Lake Drive, Ft. Myers, Florida 33910 on Friday November 17, 2017 at 11:00 AM. Final resting place Holy Cross Cemetery. Friends received 10 – 11 AM at the church. Arrangements by the A. Ripepi and Sons Funeral Home. I just recently heard about Tom's passing. So sorry for your loss. Our class just celebrated our 60th reunion but we join other Adams graduates every September and at that time we update our members about other classmates. These are the most difficult for us. We were a very close class and still carry around our yearbooks to reminisce. Our thoughts and prayers are with you and your family at this difficult time. Both Linda and I are very sorry to hear of Tom's passing. We wanted to extend our deepest sympathies with Tom's passing. We know that the relationship between a husband and wife without children can be very different than others who have children. We share so much time together; conversations, memories, things two did together. Pray you can let the tears flow naturally with memories of wonderful times together. Feel free to stay in touch. Our thanks for all you do for us.